It doesn’t take a very long stay in Australia, before you hear about Snugglepot and Cuddlepie or the big Bad Banksia men. No generic fairies here but botanically correct adorable little creatures that were fashioned on Eucalyptus gumnuts and their flowers. The Banksia men were drawn from Banksia cones that dry on the branch for up to three years and become very wizened. It seems it was easy for Gibbs to fashion these old cones into wicked old men. who might threaten her Gumnut babies. All of their adventures are captured in books by Gibbs and also in a Sunday cartoon. May Gibbs came out from England with her artist parents at the age of four. She was a children’s author, illustrationist and cartoonist. 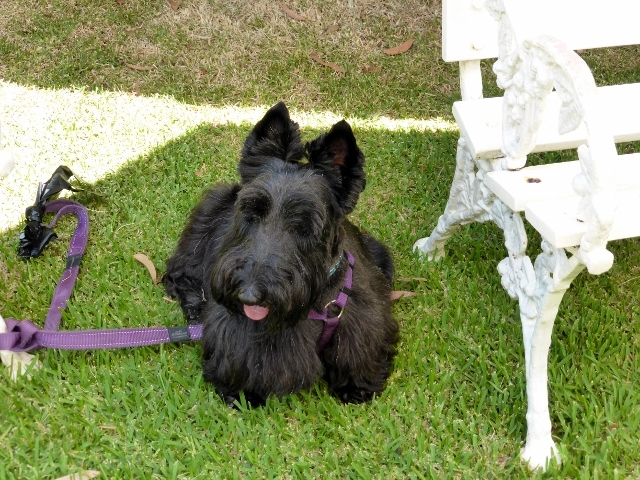 She was the happy owner of Scottish terriers and lived with the Scotties and her husband at Nutcote in Neutral Bay. James and I went to have a look at Nutcote on Sunday and drop in on the Scotties’ Birthday party. 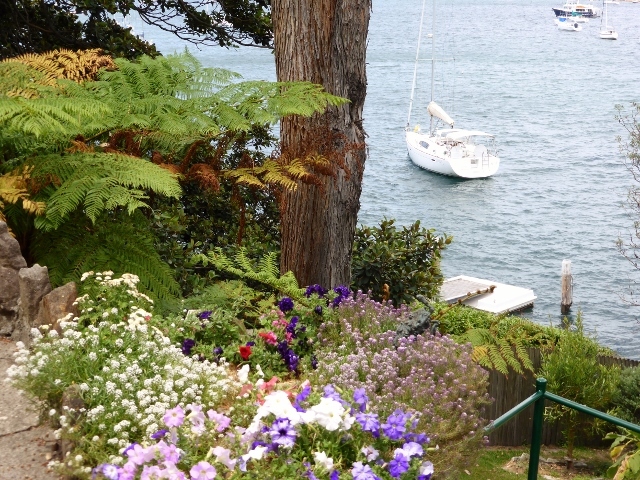 Nutcote was a small but perfect house created for May Gibbs and her husband Bertram Kelly, by architect, BJ Waterhouse. 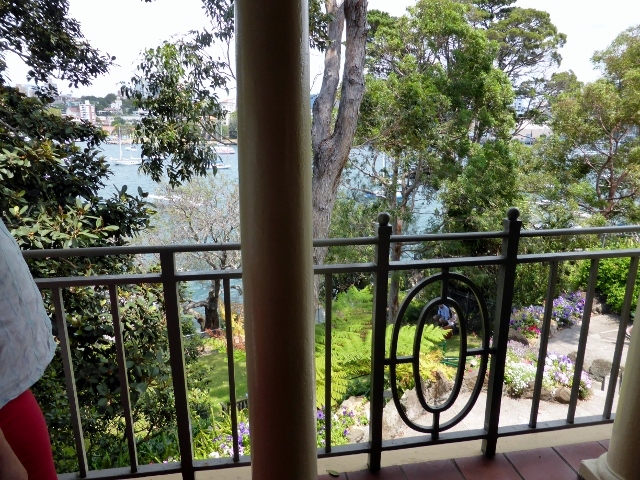 It had waterviews from most of the rooms and a lovely balcony overlooking the water. 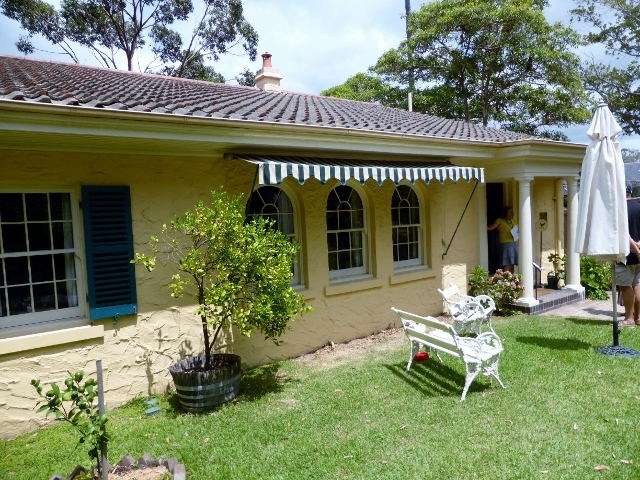 Breezes waft amiably through the house to counter act Sydney’s warm summer weather and it had all the modern conveniences of the time, including indoor plumbing. 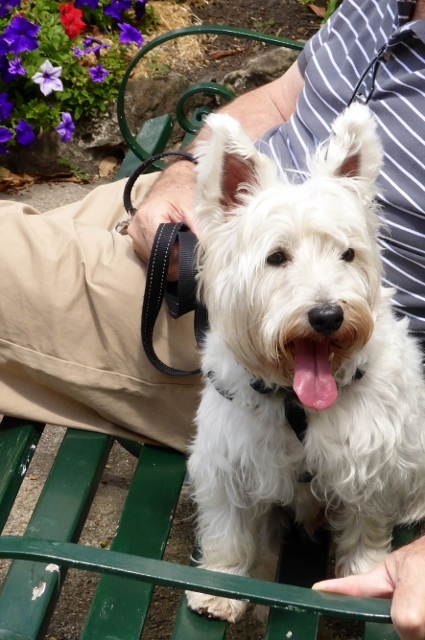 Children were blowing bubbles and Scotties were running around. Over the PA, came the announcement ” Please remember to use gloves to separate dueling Scotties”. We did hear a bit of barking but the Scotties were on their best behavior. The Teahouse had wonderful cupcakes, Icy pops and Teas on offer. May Gibb’s Nutcote is a secret and enchanting place to visit with your own Scotty or little gumnut baby. As we left, a group of children from Liverpool arrived, not only was it their first time to the Scotties’ Birthday party but their first time over the Harbour Bridge. We think they rather enjoyed it.